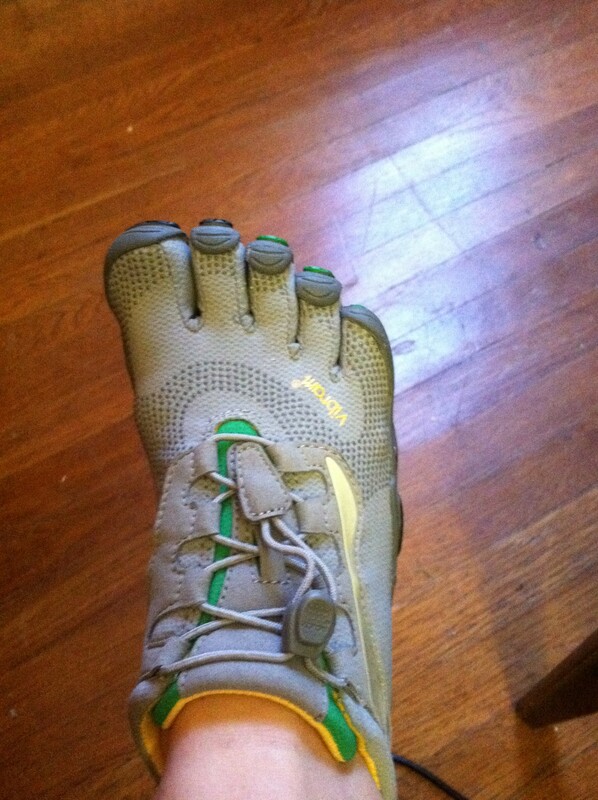 My Vibram FiveFingers came in the mail yesterday (so much faster than I expected). I did a normal run in my old running shoes (New Balance), then put the Vibrams on to do another half mile. I love them! They’re definitely gonna take a gradual transition though. I’m hoping I can fit in a really short run this morning before I head to Ithaca for Dan’s formal. I sauteed strips of salmon in canola oil with chunks of one Roma tomato, some frozen broccoli and spinach, and a couple of white mushrooms all sliced up. 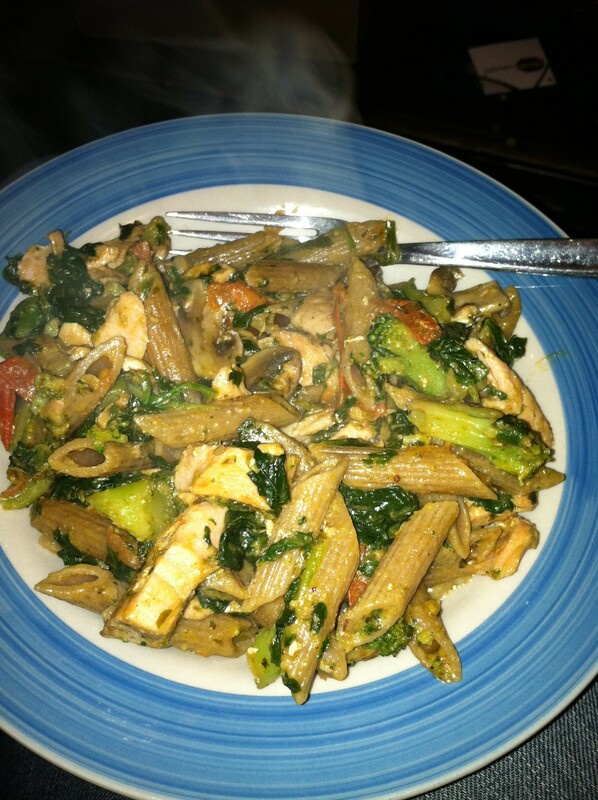 Then I mixed whole-wheat penne in with the salmon and veggies and threw in a couple spoonfuls of jarred pesto. I think my only complaint was that it could’ve used more salt…but the pesto is so salty straight from the jar! For some reason, the flavor disappears a little. Oh well, still good. Went to the party around 8, which was a blast, and then most of us ended up going downtown to Daisy Duke’s. Posted on December 4, 2011 October 4, 2012 by Olivia FecteauPosted in UncategorizedTagged BDJ, cooking, food, party, recipe, running.